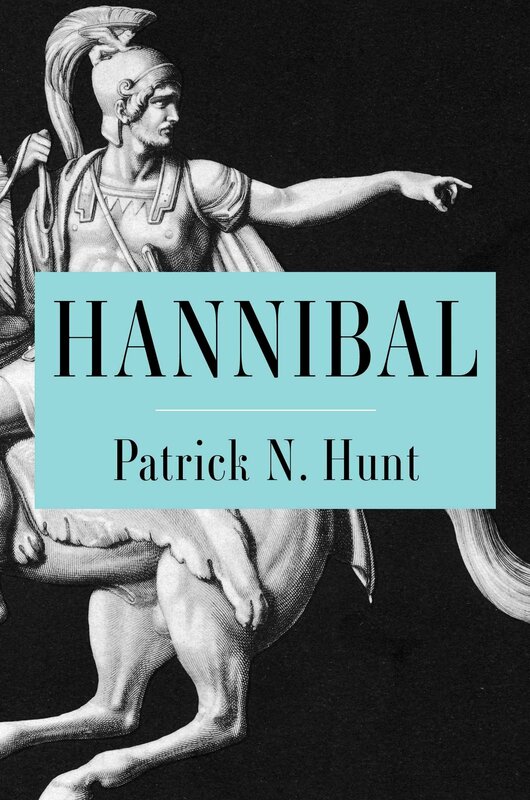 Note: This is a guest post from Patrick Hunt, author of the new book, Hannibal. Hannibal Barca, otherwise simply known as Hannibal, lived and waged war over two thousand years ago – but is he still relevant in a world where the Romans are long gone? His famous crossing of the Alps in winter with an intrepid army and elephants is unforgettable, but are his brilliant maneuvers and intelligence gathering still worth examining? Despite the enigma of this great Carthaginian general being unable to preserve Carthage after him, Hannibal’s tactics and methods offer great lessons not only for military history but also for civilization at large. History reveals the Romans had a destiny of world conquest, but what is less well known is how much Hannibal changed the ways in which the Romans conducted the wars that eventually brought them Pax Romana, a peace often forged out of violence after a brutal expansion that killed and enslaved millions, including Carthage a century after Hannibal. Before Hannibal, Rome was hemmed in by seas on almost all sides and could hardly expand except northward into Etruscan and Celtic territory; acquiring Sicily was Rome’s first step outside its mainland. But Hannibal forced Rome to fight a very different kind of war; his victories taught them how exploitable their military organization was, and he pressured Rome to change for survival. More relevant, while Hannibal didn't invent spycraft, he seemingly used it more effectively than any other ancient general by his careful contingency planning. Hannibal set precedents for spy agencies and intelligence gathering and how to stage battles in any kind of terrain and weather--templates that current nations still study and follow. Every military academy today offers detailed classes and seminars on Hannibal’s tactics. I am frequently invited to lecture on Hannibal’s intelligence gathering in venues like the U.S. Naval War College, where classes are filled with Navy, Army, Marines, and Air Force officers along with representatives of the intelligence agencies. That is also why the National Geographic Society sponsored my Hannibal field research – sending me to every Hannibal battle site and to Carthage in Tunisia, along with Spain, France, Italy and even Turkey where Hannibal concluded his dramatic life - and also why Simon and Schuster published my biography Hannibal this summer. Here are some nuggets from 20 years of Hannibal fieldwork found in this new book. Hannibal studied his opponents very carefully, employing every means of gathering intelligence in enemy camps, including spies from allied populations who provisioned the Romans. When necessary, Hannibal paid for credible intelligence with silver supplied from mines in Carthaginian Spain; as long as that silver lasted to pay for good intel, he was unbeatable. Once Rome conquered Spain’s silver mines, Hannibal’s ability to gather and exploit such military intelligence was cut off. There is a direct correlation to Hannibal's access to silver for intel or mercenary use and his brilliant victories. Hannibal usually went for the unpredictable surprise maneuver that had never been seen before, including crossing the Alps in winter and forcing the Romans to fight in the dead of winter and at night. Hannibal got into the minds of his enemies with psy-ops, exposing their weaknesses, triggering their anger and vanity, and making them fall into his traps; undermining the confidence of the Roman foot soldiers in big battles and paralyzing them with fear. Romans taught their children to fear Hannibal as the bogeyman – always warning in crises for centuries that “Hannibal is at the Gates”. Hannibal effectively used the most mobile units possible with his Numidian cavalry, often outflanking the Roman infantry on multiple campaigns, especially in his famous “double envelopment” or where he finished battles with ambushes from the rear where there was no escape. Because his armies were almost always smaller – especially after his difficult Alps crossing when he lost many soldiers – Hannibal augmented his arsenal with weapons of nature: forcing the Romans to cross the frozen Trebbia River, hiding his armies in the fog above Lake Trasimene, driving captured cattle with torches tied to their horns to fool the Romans into thinking he was on the move at night at Volturnus, making the Romans face the blinding dust and sand blowing from Africa at Cannae. He even confused the Romans at Cannae with some of his troops outfitted with captured Roman gear. Similarly, after studying terrain and topography, Hannibal always chose his battle sites when possible for the best possible advantage, especially constricting the larger Roman armies where they would be unable to outflank him and instead they would be hemmed in by rivers or hills, etc., also choosing terrain where he could hide ambushes in nearby forests. Hannibal sagely exploited the 2-consul Roman alternating command rotated one day between an experienced military veteran and the next day with a political appointee populist leading. On at least three occasions, Hannibal annihilated the Romans on the days when fools were the supposed commanders. The following Roman generations learned the hard lesson from this and the Senate created a professional army commanded by veteran leadership. Eventually Rome also amped up its cavalry and became less dependent on infantry thanks to Hannibal. Hannibal taught his one formidable Roman opponent Scipio how to implement brilliant tactics, how to mine data from military intelligence and how to benefit from Spain’s mercenary silver to bribe the Numidians to abandon Carthage. Scipio – the only one to beat Hannibal - respected Hannibal more than any other Roman because he learned so much from him. It's one of the great ironies in history that Hannibal is apparently more famous than Scipio, and it’s not only because of crossing the Alps with elephants: ultimately the Romans didn't appreciate a victorious Scipio any more than the Carthaginians appreciated a victorious Hannibal. Hannibal will remain a profound enigma in that he could not ultimately win the war with Rome, yet he could win so many brilliant battles with incredibly memorable tactics still taught today. The Roman book Stratagemata by Frontinus - a compilation of military stratagems - has more clever ruses of Hannibal than any other commander up to that time. Historic great commanders or officers who studied or emulated Hannibal include but are not limited to Julius Caesar, Belisarius, Charlemagne, Napoleon, Suvorov, Kutuzov, von Clausewitz, Montgomery, Liddell Hart, Rommel, Patton and Schwarzkopf, among many others. Even the term blitzkrieg alluded to Hannibal's clan (Barca = "lightning") and his rapid advance in his invasion of Italy." So, of course, Hannibal is at least as relevant as any other memorable person in history, especially in a time of world chaos and rethinking strategic allegiances. Postscript: Hannibal (Simon and Schuster 2017) has been acclaimed in reviews from The New York Times, Christian Science Monitor, Philadelphia Inquirer, Ancient History Encyclopedia, a starred Kirkus Review and many others, and also nominated in the Kirkus List of Best Nonfiction Books of 2017.